I thoroughly enjoyed developing this fun + nurturing brand for a pre-k micro-school in the makings. At the time, the "school" consisted of an experimental group of families collaborating to nurture the whole child within a loving community through weekly learning sessions. 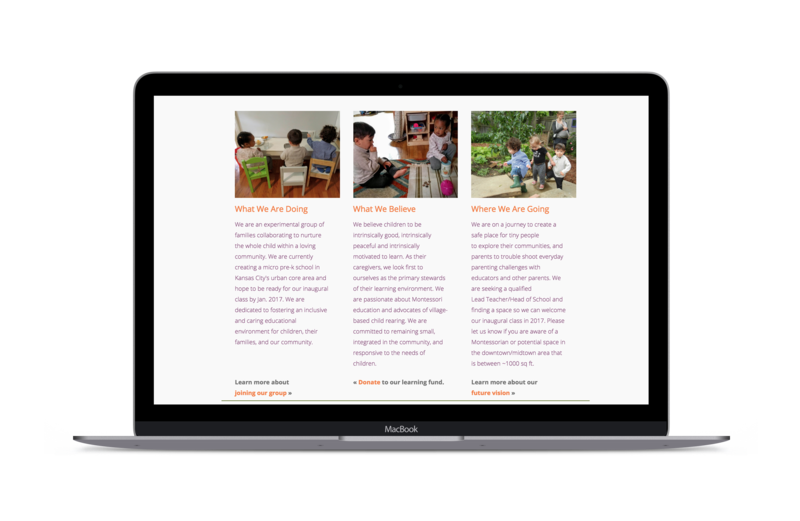 Their goal was to eventually establish a small, progressive, community-based Montessori program and they needed a brand, website + marketing materials to assist in their recruitment efforts. They needed their brand to speak to a diverse group of (dedicated) parents, Montessori teachers, + potential funders. 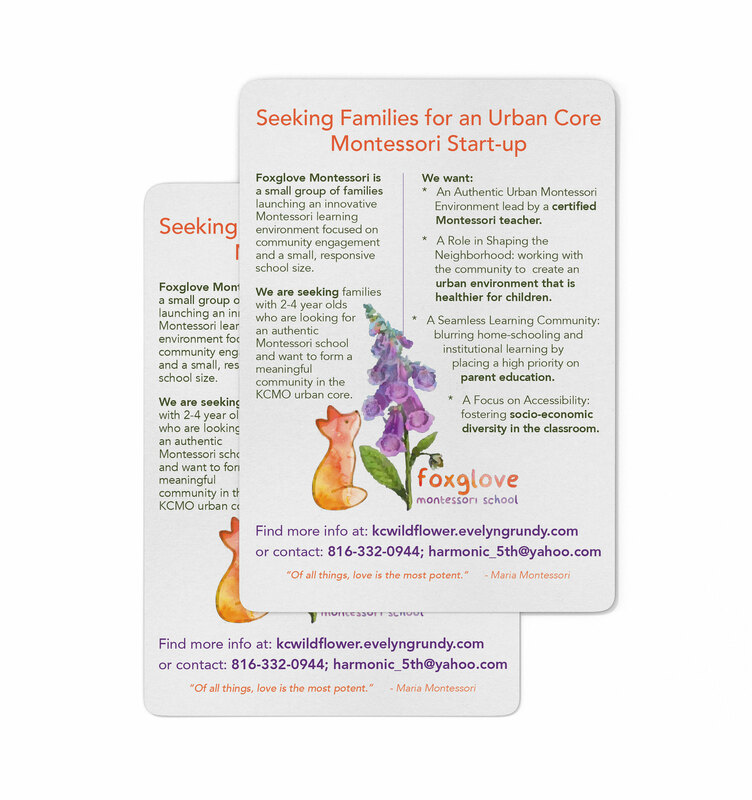 Foxglove Montessori School is a child-centered, authentic Montessori learning environment and lab school whose mission is to cultivate a vibrant and holistically supportive community of families, teachers, and the greater Midtown area of the Kansas City Community. Brand analysis + strategy, logo + variations, brand colors + fonts, promotional flyers, parent handbook, and website.